Is it really possible to see London in a day? When you think of visiting London, you quite possibly think of spending at least a long weekend here as a minimum. People travel from all over the world to spend a week or two here, and there are more who move to the city temporarily for longer periods to fully experience what it has to offer. And with so much to see and do, it’s understandable. There are people who return several times a year, each and every year, and still don’t see everything the city has to offer. Apart from anything else, new attractions, sights and exhibitions are opening up constantly, so there’s always something fresh to experience. So with this said, is it worth simply spending a single day in London? Can you really experience what London has to offer in only a matter of hours? Our answer is simple: yes, it is undoubtedly worth visiting for even just a few hours. It might not be relaxing and you might not stop, but you can definitely get a real taste of London in a single day. As the saying goes, the early bird catches the worm, and if you’re wanting to sample a lot of what London has to offer, you need to be up, about and in the city early. Assuming you can get into the city first thing, there are so many fantastic places to dine for breakfast from early in the morning that it would be relatively easy to be fed, watered and ready to tackle to the day before 8am. Whilst you may be ready to explore the city’s attractions, it’s important to understand many of the museums in particular don’t open until 10am. Given the fact a lot of them are free, they become rather popular during the busier summer months especially, so if you’re joining us for the day over the coming weeks, it would be prudent to get there early to avoid being stood in a queue unnecessarily. But as the opening times are mid-morning, assuming you’re done with breakfast by 8am, this gives you at least a good 60 to 90 minutes of time to walk around and do some of the things that simply don’t have opening times (or they’re notably early). A stroll around Hyde Park. A look at Nelson’s Column. A snap of Big Ben and the Houses of Parliament. Experiencing the advertising billboards and traffic of Piccadilly Circus. These types of things can be done at almost any point during the day with no change in experience. It’s worth highlighting here that although you might find a lot of London doesn’t properly open until 9 or 10am – or sometimes even 11am – it’ll stay open later than you might be used to. Elsewhere in the UK, for example, it’s common for retail shops to close by 5.30pm, but in London 8pm is more common. Therefore, your day could be longer than you may have anticipated, as it could continue seamlessly into the early evening as many places will still be extremely active after their counterparts elsewhere in the country have closed. 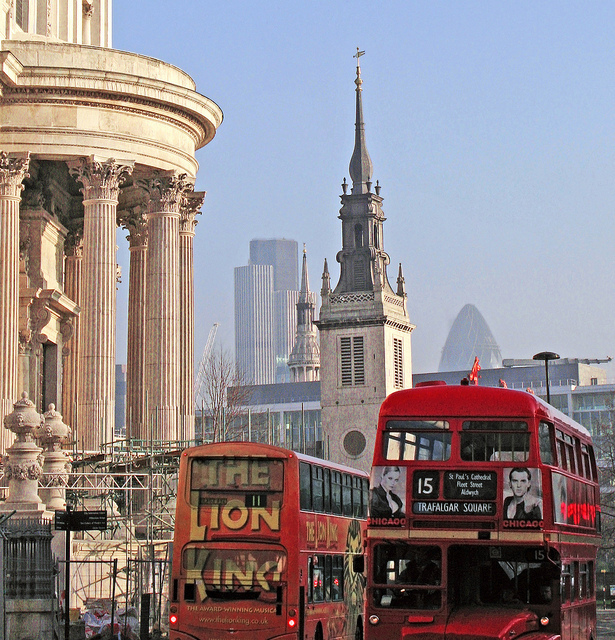 When you think of traditional London experiences, you’ll undoubtedly think of jumping onto a London bus, into a black cab or riding the Tube. And we’d agree that these are things you could experience during a day in London – but there’s no real need to work them into a schedule or agenda. When you’re moving from one attraction to the next, flag down a black cab to take you there and enjoy the journey. 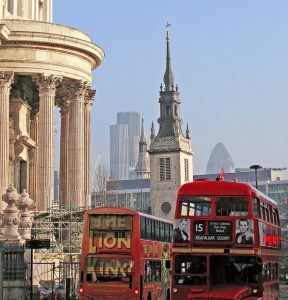 Next time, pop down the nearest tube station and travel for a few stops, or join the bus queue and ride one until you’re at your next attraction. It’s the same with food and drinking, too – you could quite easily combine a visit to Camden Market with lunch, given the huge amount of options that are available. Sure, it may not be the most elegant of meals and you won’t have the chance to take the weight off your feet for an hour or two, but you’re in London for a day! It’s going to be fast paced and non-stop if you’re trying to take as much as you can in! If you’re staying with us at DUKES for a number of days, you’ll have the luxury of wandering around central London and soaking up the atmosphere at your leisure. If you’re only here for a day, however, you need to plan. Draft up a schedule, taking into account everything you want to do in an ideal world and then begin working out how feasible it is. Are there things on separate sides of London? You may be prudent to pick just the one. Similarly, if something is going to take a couple of hours, is it a necessity this time round? Watching a match at Twickenham or Wembley is high on the agenda for many, but if it’s going to eat into half of your day at least, is that the best way to spend your couple of hours in London? Understand what you want to do, but most importantly, understand what’s doable – and work to this. Deviate from it and you might find you waste time. Stick to it, however, and you could quite realistically have an action-packed day in London. Whilst we do feel confident that with a long day in London, you could get around a lot of the different sights and attractions, the best way to experience our wonderful city is to stay in it – even just one night can give you an entire extra day to sample what’s on offer! Accommodating guests at DUKES for single nights to multiple weeks, we’re as passionate about our hotel as we are our city, and we feel confident that however long you’re visiting for, we’ll be able to help make your trip a truly memorable one (even if it is only for a day! ).